The trickling sound of water hitting rock mesmerizes me. Its constancy lulls and soothes. Since our home down the shore isn’t quite close enough to hear the crash of the ocean waves on the beach, we opted for the next best thing. 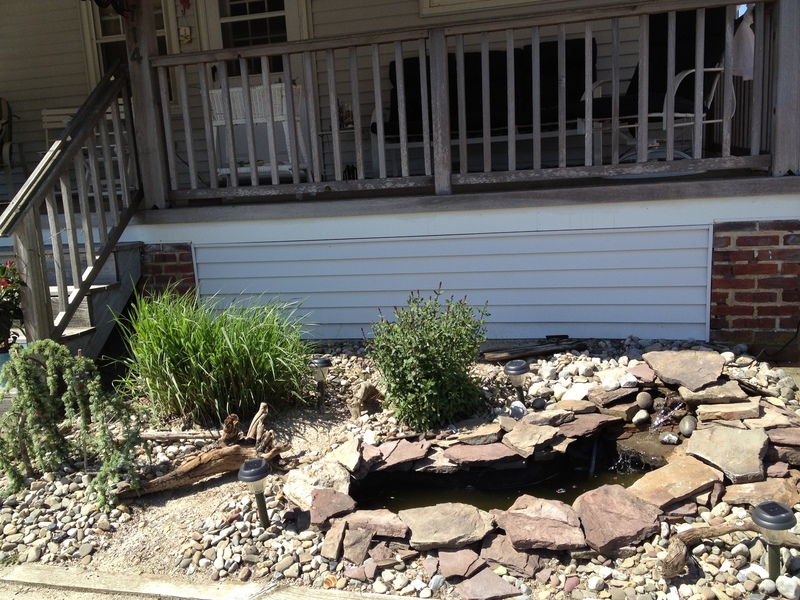 We decided to add a pond to our small garden off the front porch, complete with a trickling waterfall over rock. Here’s how we did it, and you can do it, too. 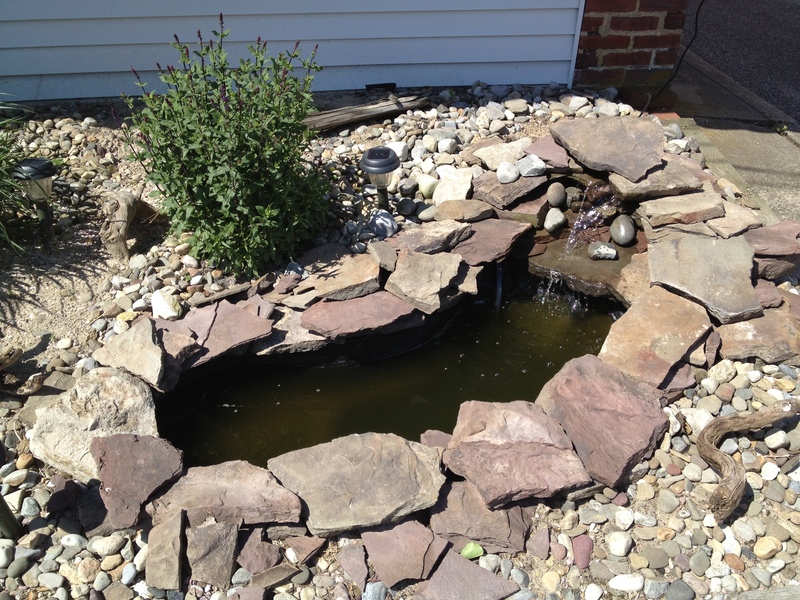 The finished pond seen above came to fruition in stages over several summers. 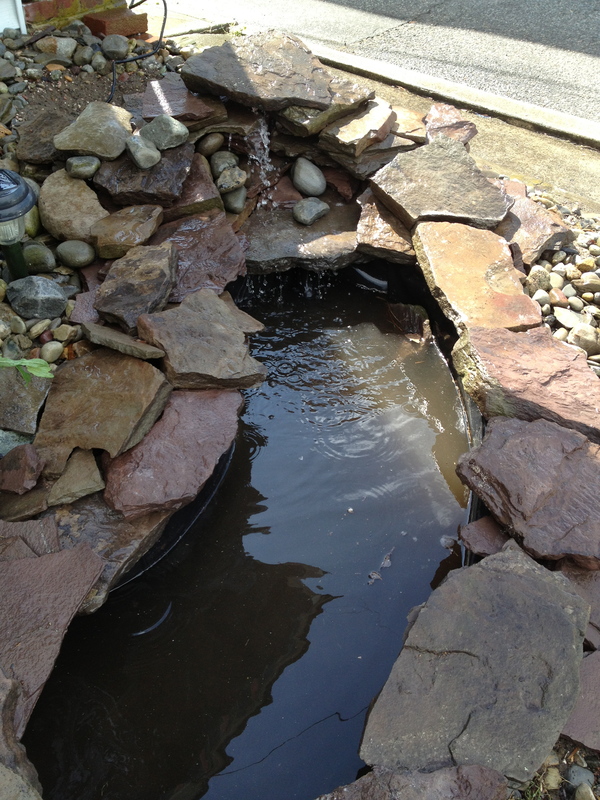 Initially, we installed a prefabricated pond into the garden plot. This was accomplished by digging a large, deep hole in the sandy soil, leveling and tamping the hole’s floor for support, dropping in the prefab pond, and backfilling the dirt around it. The pond is delightfully shaped like a kidney, so it has some curves for interest. Still, it’s a black plastic tub sitting in a garden. 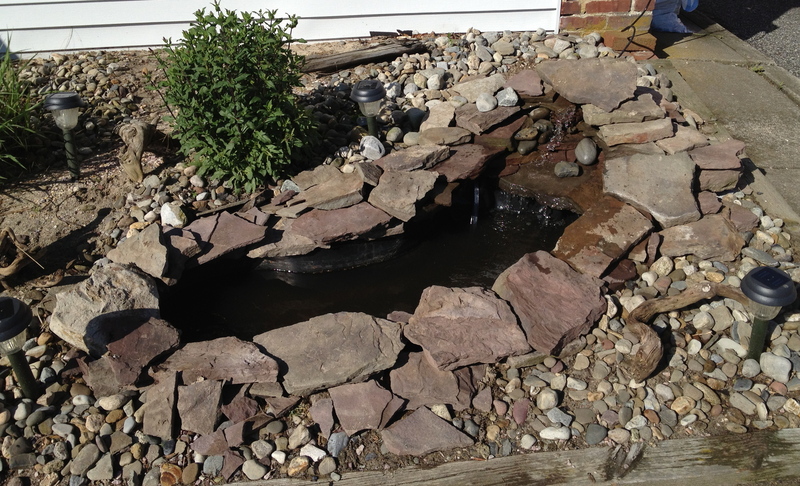 We added a small electric pump with a fountain attachment, along with some surrounding plants and river rock. The fountain burbled and did, in fact, provide the sound of water hitting water. 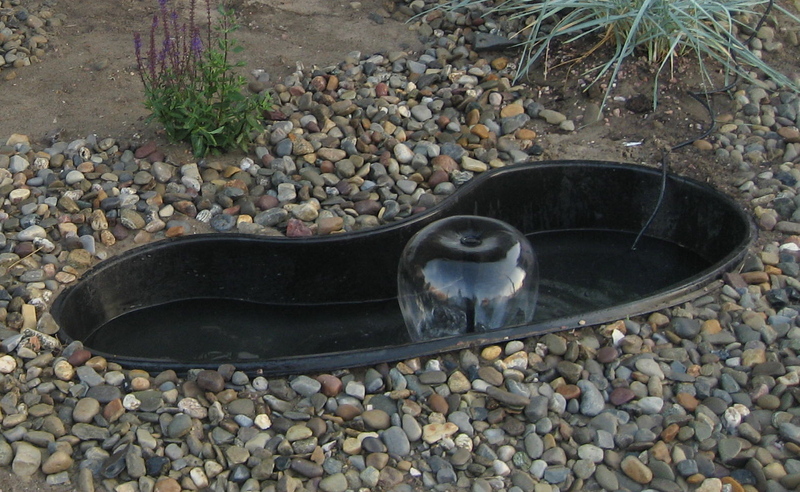 Now we had a black plastic tub with a burbling fountain sitting in a garden. This summer we decided to take the next (and, hopefully, final) step in truly making this water experiment a garden waterfall pond. 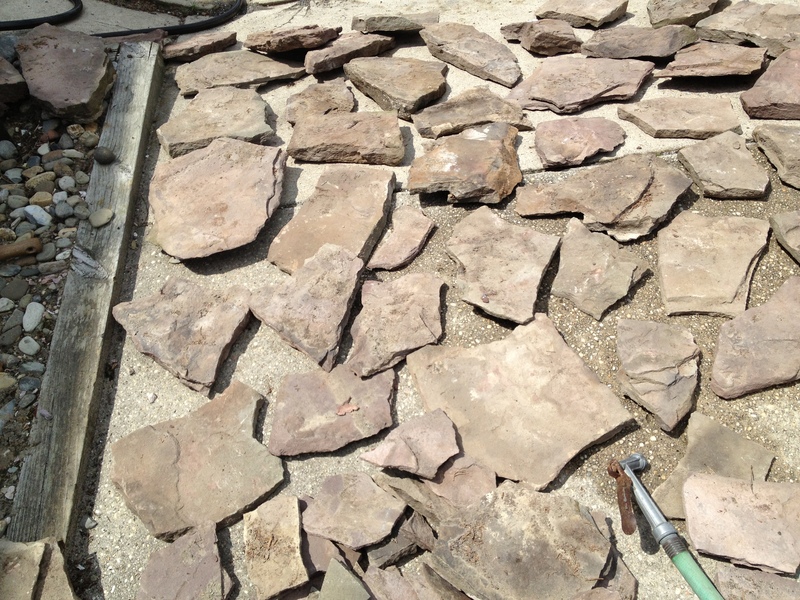 We started with rock—lots of rock. 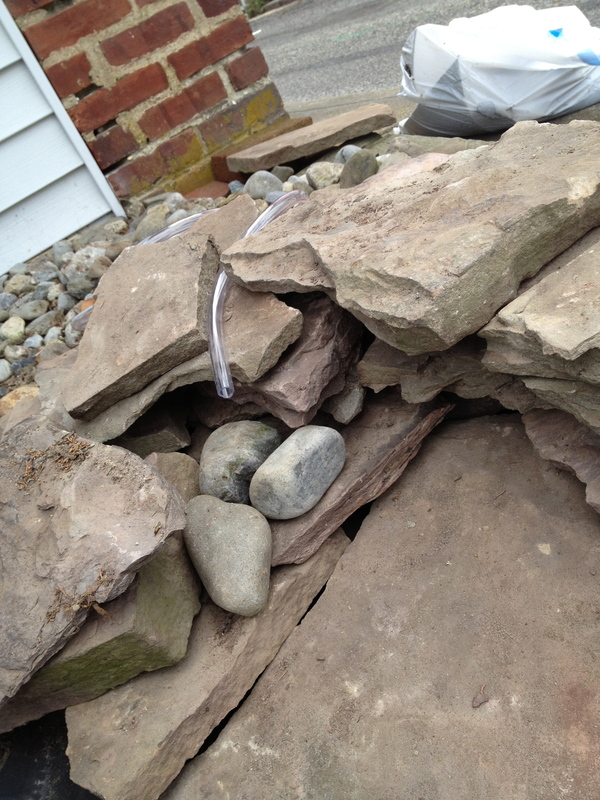 A half pallet of fieldstone wall rock to be exact, which we purchased from a local garden store, hauled home in the back of our SUV, and emptied one rock at a time. I highly recommend having the rock delivered, but the spirit had struck and we were in the mood for some instant gratification. 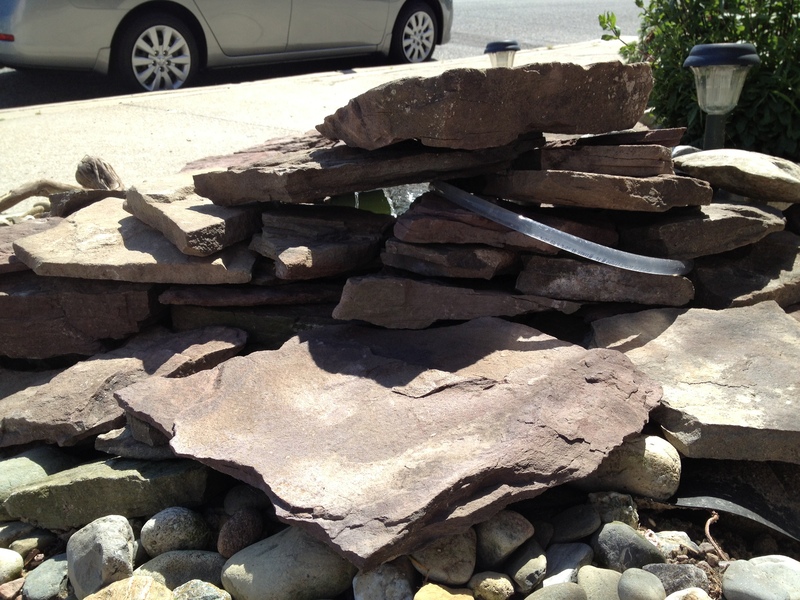 We chose one of the larger, flatter rocks to be the base of the waterfall. 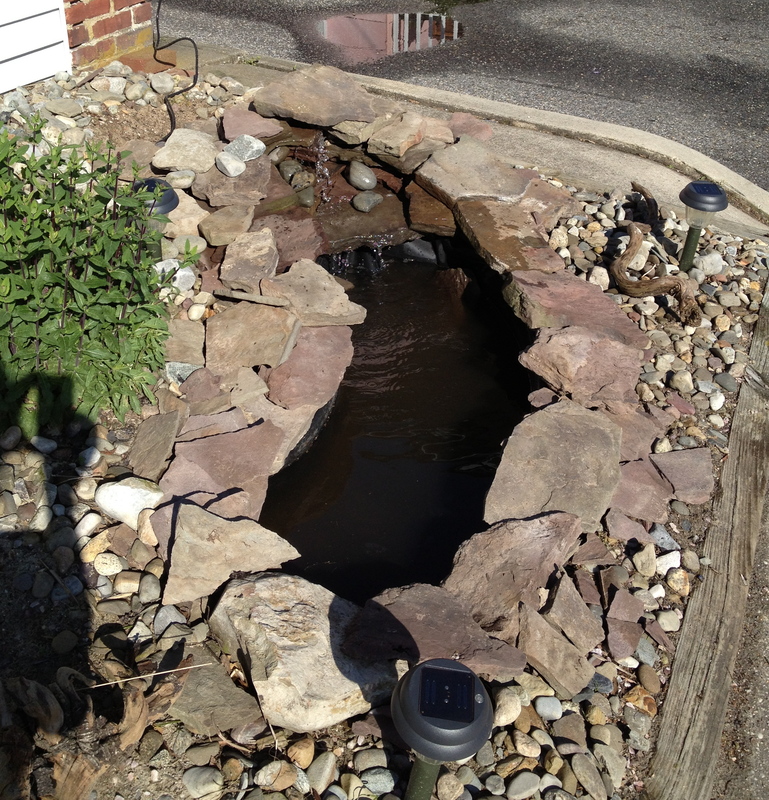 First, we placed a piece of heavy vinyl pond liner in the area where the waterfall would be built and let it hang down into the tub to divert any wandering water back into the pond. 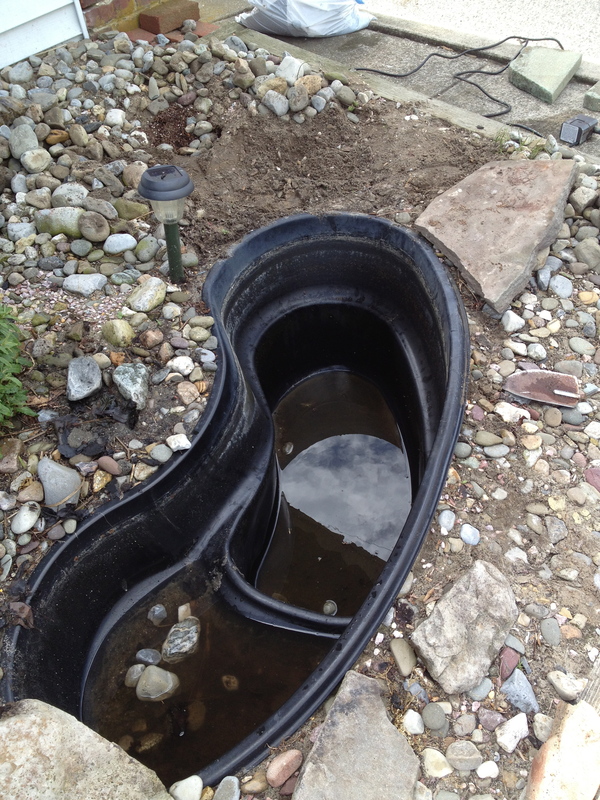 Next, we placed the large base stone on top of the liner, overhanging the edge of the tub about 3 inches. 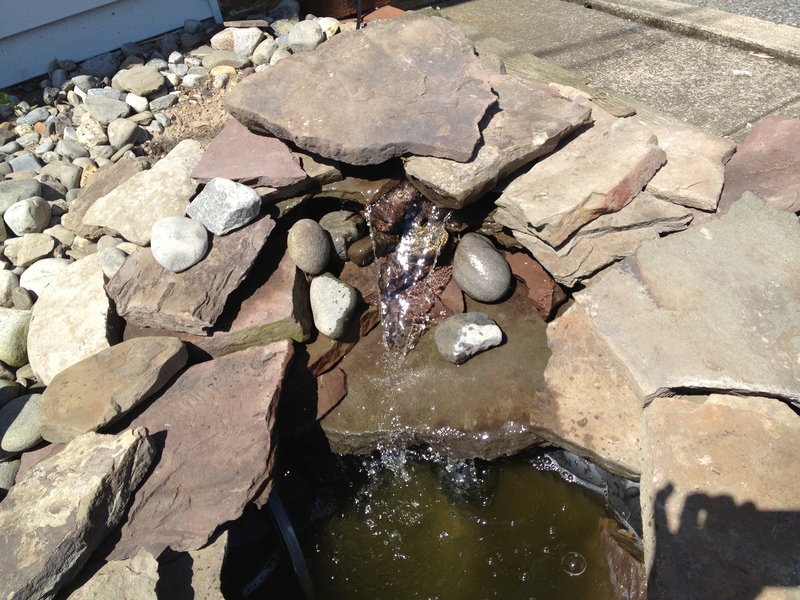 Two thick stones were placed on either side of the base stone, and the pond liner was pulled up and over them to form a gully around the base stone. Then, with the base in place, we began to “build” the waterfall around it, much like one would build a wall. 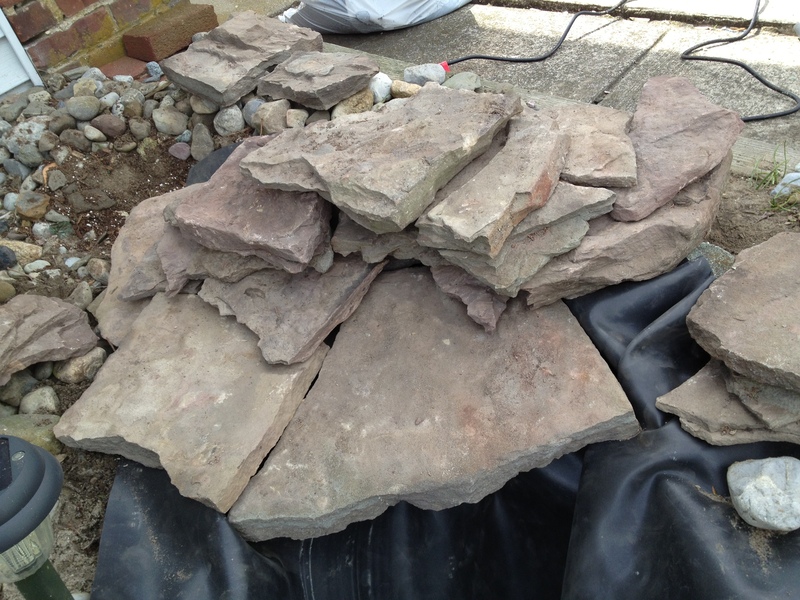 We started with a wider base using the larger rocks then gradually narrowed with smaller rocks, kind of like a pyramid. Now it was time to add the water. Using our existing pump from the aforementioned burbling fountain, we placed a 6-foot-long piece of clear vinyl tubing on the pump spout, securing it with a hose clamp. We then ran the tube under the rocks to to the top of the waterfall. Back view of waterfall. Tubing will be hidden by rock. 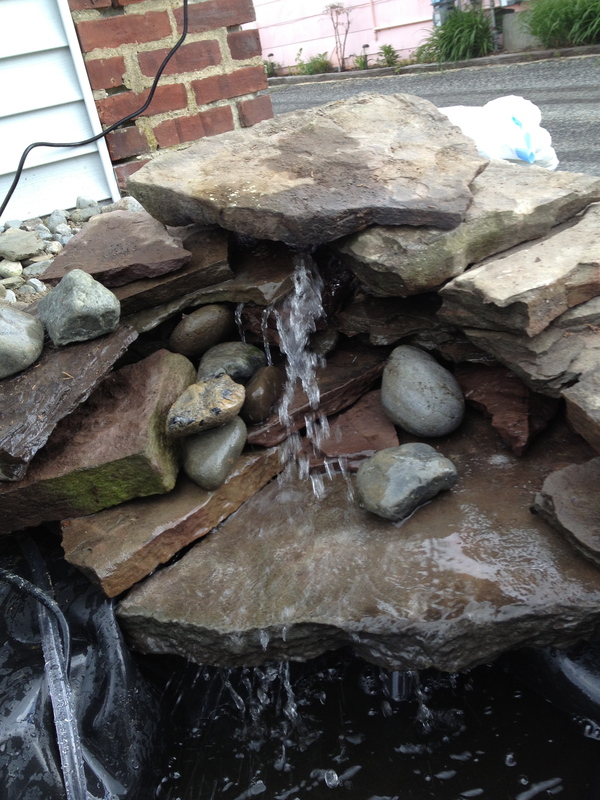 A few larger rocks were added to “top off” the waterfall, concealing the tubing underneath. Placing some river rocks at the mouth of the tube dispersed the stream of water, forcing it to divert into a “waterfall” and cascade to the base rock below. 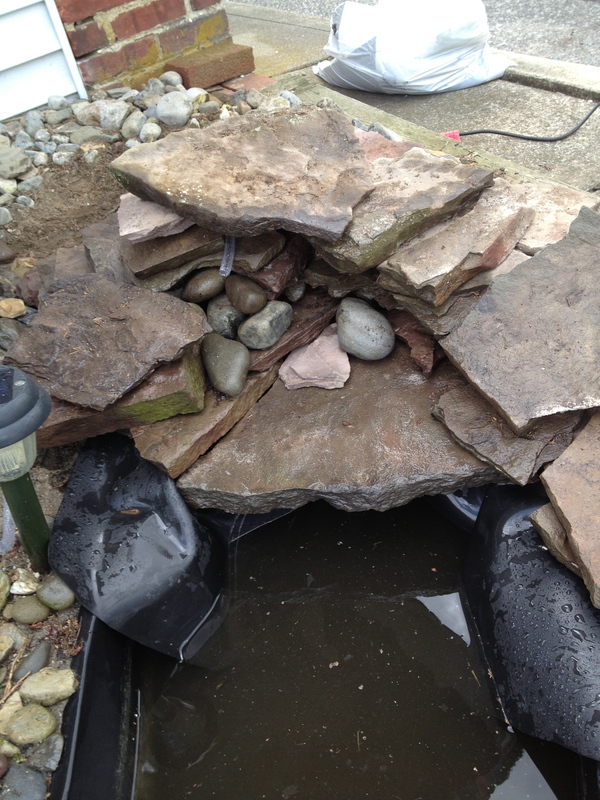 With the waterfall built, we used the remaining rocks to outline the pond, covering the rim of the plastic tub and concealing the tubing and the pump’s power cord. 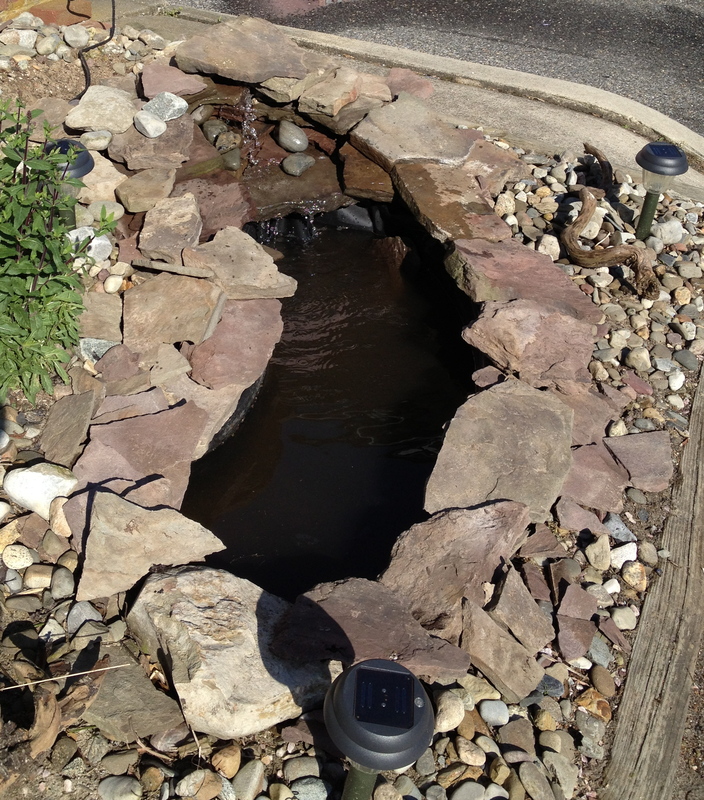 The black plastic tub with the burbling fountain was transformed into a rocky waterfall that flows into a pond. We now enjoy the tranquil sound of water hitting rock as we spend time sitting on the porch, and passersby often pause, surprised by the unexpected sound of cascading water.